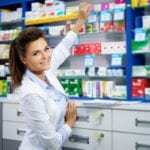 A pharmacy is an important establishment in the health care industry. Patients go there to receive the medications their doctors prescribe for acute or chronic conditions. They also receive counsel on how to properly take their prescription and over-the-counter medications. Pharmacists use their years of training to offer counsel, cross-reference prescriptions to negate fatal drug interactions, and research new drugs. 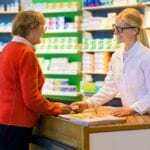 However, it is pharmacy technicians who are actively involved in the day-to-day administration of the pharmacy. Their responsibilities include receiving incoming prescription orders, filling out regulatory paperwork, filling prescriptions, processing payments, billing insurance companies, and restocking inventory. Like other careers in health, there’s a huge demand for pharmacy technicians that will likely increase in the coming years. According to the Bureau of Labor Statistics, employment is expected to grow 9 percent from 2014 to 2024. Emily Griffith’s pharmacy technician certificate program prepares students for success on the national pharmacy technician certification exam administered by the Pharmacy Technician Certification Board. Students must complete a total of 32 credit hours to graduate from the program. Course topics include Orientation to Pharmacy, Pharmacy Law, Pharmacology I and II, Pharmacy Calculations, Institutional Pharmacy, Computer Skills for Pharmacy, Community Pharmacy, Medical Insurance Process, Drug Classification, Communication for Pharmacy Technicians, and Pharmacy Clinical in the Community and Institution. Part-time and full-time schedules are available. Full-time classes meet Monday through Thursday from 7:30 am to 4:00 pm for three months. Part-time classes meet Monday through Thursday from 5:00 pm to 9:00 pm for 7 months. Students must submit a copy of their TABE assessment test results (10.0 reading and 9.0 math required), a copy of the receipt of payment, high school diploma, criminal background check, resume, and 10-panel drug test, and sealed or electronic college transcripts by the first day of class. For clinical placement, the student must present a Clinical Registration Approval Form signed by the instructor, copy of two doses of MMR vaccination or Titer test results, Varicella, Hepatitis B, and negative TB test. The estimated program cost is $3,392 – the cost of textbooks will be added to this cost. The pharmacy technician certificate program at FRCC prepares students to assist in pharmacists in the preparation of prescribed medications. Graduates are qualified to work as a pharmacy technician in hospital, retail, mail-order, and chain pharmacies. The course content is made up of 3 5-week training modules on campus followed by 2 5-week experiential modules in a hospital and community pharmacy. Course modules are Introduction to Pharmacy, Pharmacy Law, Pharmacology I, Institutional Pharmacy, Pharmacology II, Community Pharmacy, Pharmacy Clinical (Institutional and Community), and Pharmaceutical Calculations and Compounding Techniques for a total of 29 credit hours. The program is open for admission in the fall and spring semesters. All prospective students must pass an assessment test. Other requirements for admittance include completion of the PHT program application, an interview with the program director, a high school diploma or GED, keyboarding skills of 25 WPM or higher, and a current resume. High school students may apply for admission. All applicants must pass a 10-panel drug screen and have no criminal convictions. A completed PHT health summary and immunization records are required for participation in the experiential module. Tuition for the program is $4,131 plus $2,175 for books and supplies. Additional expenses include scrubs, criminal background check, lab coat, 10-panel drug screen, BLS certification, badges, and immunizations. An investment of 16 weeks is all it takes to complete the pharmacy technician certificate program at the Lutheran Medical Center. Students are taught by real pharmacists on campus and in a real hospital pharmacy setting. As one of Colorado’s most trusted medical facilities, Lutheran Medical Center offers a program that is accredited by the American Society of Health-System Pharmacists. The curriculum of study includes 12 weeks on online and simulation lab followed by 4 weeks of clinical rotation. Each student must complete at least 160 hours of on-site rotations, 96 hours of lab simulation, and 348 hours of online theory and testing to complete the program. Scoring is on a pass/fail basis. Students should register for the PTCB exam during or upon completion for the program to receive CPhT certification. Although students complete most of the training hours in the comfort of home, they must attend lab every Friday for 8 hours for the 12 weeks and attend onsite rotations Monday through Friday for the final 4 to 8 weeks. Applicants must have a high school diploma or equivalent, provide a background check report and drug tests, and have the flexibility to attend clinical rotations based on availability. The class size is limited to 10 persons. The competitive tuition for the program is $3,000. Arapahoe Community College’s Pharmacy Technician Program meets the standards of the American Society of Health-System Pharmacists (ASHP). Students learn the fundamentals of practice and gain the technical skills to fill an entry-level position where they dispense medication under the supervision of a licensed pharmacist. Offered in a hybrid format, the program spans two semesters or 15 weeks. Integrated lab exercises are covered in each semester. Students begin the clinical externship in a community and institutional pharmacy upon completion of the didactic training. ACC offers students face-to-face classroom time, a modern automation lab, two externships comprising of at least 320 hours, hybrid classes with 24/7 access to material, and expert and committed instructors. Interested persons should submit a completed program application, a high school diploma or GED, satisfactory ACCUPLACER or ACT/SAT scores, documentation of typing proficiency of at least 30 words per minute, a current resume, letter of recommendation, initiate a criminal background check, and schedule an interview with the Program Coordinator. All students must attend a program orientation before the semester starts. The estimated cost of attendance for Colorado students is $4,807 including uniforms, books, background check, and drug screen. The pharmacy technician certificate curriculum at PIMA is a combination of math, chemistry of and medicine designed to prepare graduates to dispense medication and other health care products to patients. Throughout the program, students learn how to mix intravenous solutions, count tablets, receive electronic prescriptions, manage computerized order entries, receive prescriptions, stock inventory, and verify the accuracy of prescriptions. IV Therapy is included in the program to give students a competitive advantage and prepare them for work in a hospital. The nationally accredited program runs for 10 months and includes hands-on training a modern, well-equipped lab, and real-world practice in a community pharmacy. Course topics include pharmacy math, anatomy, physiology, and terminology, CPR and First Aid, Math Fundamentals, Pharmacy Law and Ethics, Pharmacology, Pharmacy Technician Duties, Pharmacy Lab Skills, Fundamentals of Chemistry, and Clinical Externship. There’s a total of 800 contact hours for 34.5 credit hours. Tuition costs #12,975 plus $960 for books and supplies. Everest College prepares students for employment in the growing field of healthcare. The pharmacy technician diploma program is designed to be completed in less than one year. Students benefit from both educational and practical training to develop skills that will help them function in an entry-level position. The curriculum covers medicine, chemistry, nutrition, and math so students understand the important role of pharmacology and science as well as the uses and effects of drugs. Course topics include, but are not limited to, pharmacy administration, nutrition, medical terminology, health care systems, digestive, respiratory and reproductive systems, pharmaceutical calculations, anatomy and physiology. Students are expected to have and develop strong customer service and communication and interpersonal skills to aid interaction with patients and coworkers. A strong mathematical ability is needed for counting and measuring medications. Graduates will be able to perform pharmaceutical calculations, work with pediatric dosages, admixtures, parental and IV dosages, and compounding dosages and understand aseptic techniques. Tuition for the 33-week program is $11,666 plus $1,080 for books and supplies.